The duo that I received and reviewed here was a press sample with lab labels, and it was marked as “Softcore”. Although my sample didn’t look exactly like the image above, it definitely didn’t pull pink, berry or plum on me (it in fact pulls more like a warm terracotta on my skin), so I assumed that the label was correct and that Stroked, which I do not have, would be significantly cooler and more berry/plum/burgundy as reported. 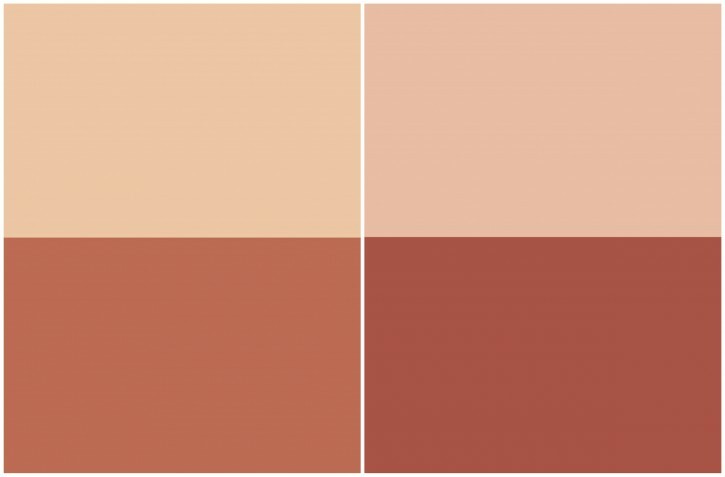 Yesterday, Temptalia posted her review of Stroked, and it created quite a bit of confusion as it looked exactly like Softcore was represented in the Lookbook swatches! At first, I thought perhaps we both had Softcore and hers was mislabeled. Then I went home and studied my duo and looked closely at her swatches and I think they are in fact different. Christine and I both reached out to various contacts and all seemed to confirm that SOFTCORE was in fact the berry-based contour and STROKED was the coral. This is the antithesis of everything we had heard and read about to date. SOFTCORE IS THE BERRY-BASED CONTOUR AND STROKED IS THE CORAL. It appears that somewhere along the line in the production process the names were switched. Whether this was a mistake or intentional, I can not say. If you already pre-ordered or ordered one of these based on the quite possibly incorrect labels and swatches out there, you may have ordered the opposite of what you expect. I would advise you to contact your sales associate as soon as possible to confirm that what you ordered is actually what you want. If you haven’t ordered yet, you should be fine – but just be careful when you do that you select the right one! I have updated my earlier review of Softcore to indicate that it is the deeper/darker version of these duos and NOT the warmer, lighter color. I am still confused by the whole thing, but I wanted to give everyone a heads up sooner rather than later. Softcore is the “plum” for sure! I totally made this mistake! !